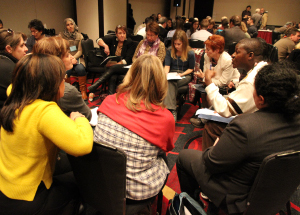 The CCR serves the networking, information-exchange and advocacy needs of our members. (For information on additional membership categories and how to apply, select one of the options in the lefthand menu). Support interventions by the pro-bono Legal Affairs Committee in key Federal Court and Supreme Court cases. "It’s an expression I never use, but now I must: what happened last evening was “totally awesome”! I sent off an urgent question on the CCRLIST, then I dashed off to the airport to meet new arrivals. When I returned home after midnight, there on my computer was an explosion of email responses – all helpful. I couldn’t believe it, but there it was. Even in the evening hours you are on duty! What an amazing community on this listserve! Thank you so much! Now this morning we have something to work with." Lower registration rates at CCR Consultations - national conferences every spring and fall. “CCR Consultations are an amazingly important opportunity to network and connect with other folks from across Canada who are passionate about welcoming refugees. 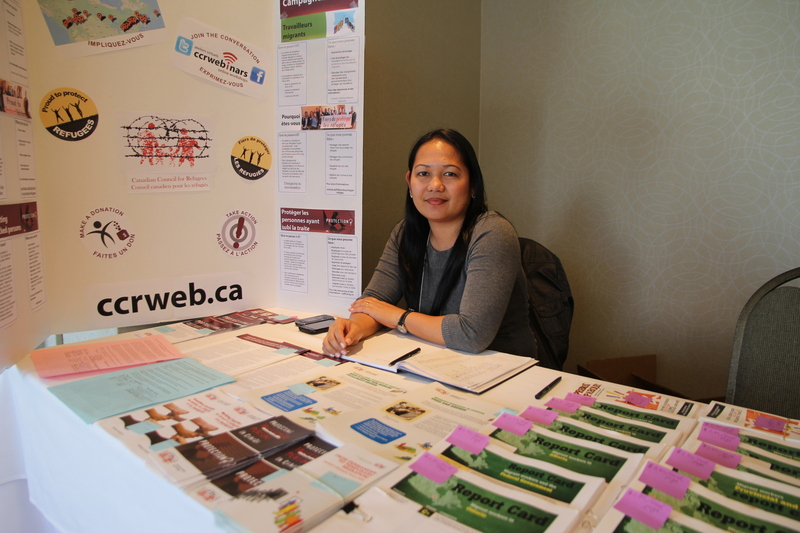 Access to the members-only area of ccrweb.ca through web-based accounts, with practical resources for frontline workers, outreach tools and more. 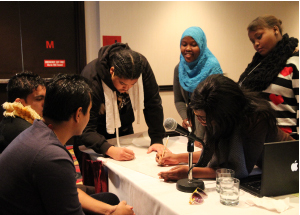 Access to the CCR Youth Network for newcomer youth looking to connect with like-minded peers as a part of a national network to address common issues and challenges. 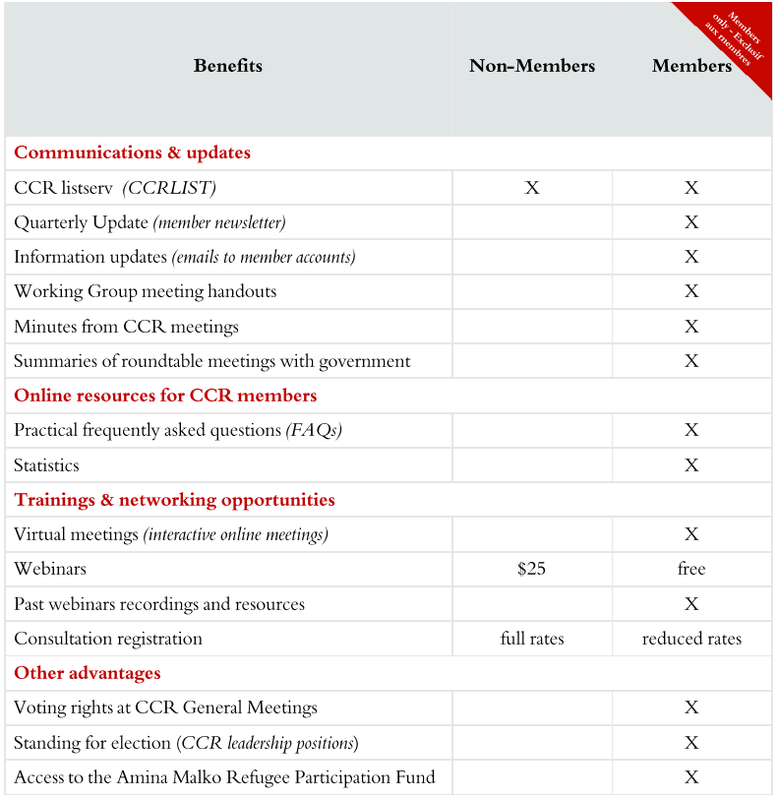 Learn more about the CCR, how you can get involved and about CCR membership benefits. Know an individual or an organization that would make a great CCR member? Share these reasons to join the CCR with them.